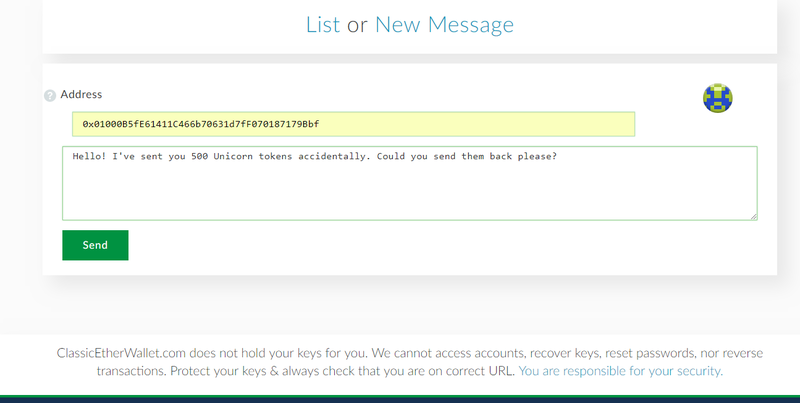 Want to be notified of new releases in EthereumCommonwealth/Address-to-Address-messaging? This repository represents a reference implementation of a central messaging smart-contract that aims to provide a functionality to contact an owner of Ethereum hex-address directly. This protocol can be used on cross-chain basis since any address can deliver a message for the owner of the address at the alternative chain. Here is a reference implementation of the described Message System at CLassicEtherWallet. Interchain Address-To-Address messaging contract is currently deployed on Ethereum CLassic chain at 0x6A77417FFeef35ae6fe2E9d6562992bABA47a676 address. Click a New Message section. Type the address and the message. 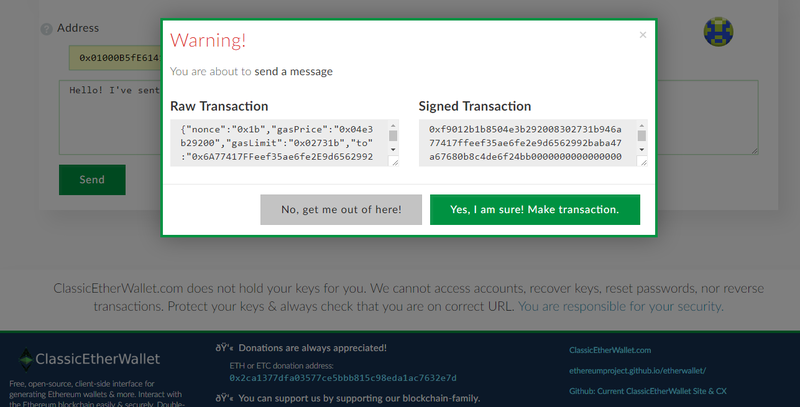 Click SEND button and wait for transaction info to appear. NOTE: It may take longer to calculate the transaction info if your network speed is low. 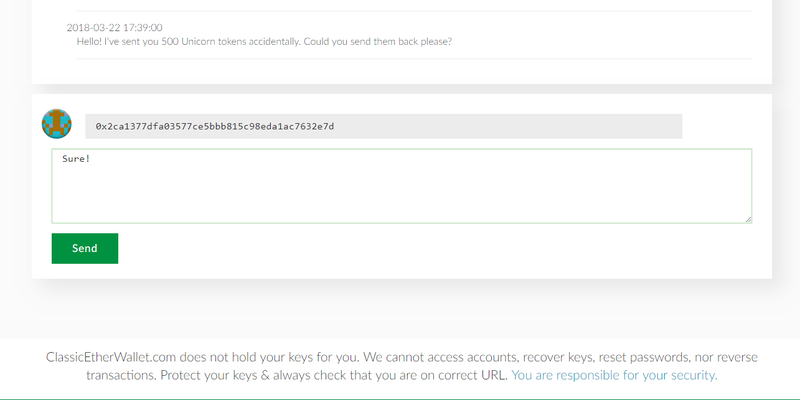 Check the transaction hash to make sure that your message was successfully sent. Unlock your wallet. Wait for messages to load. It may take a minute or something like this because it requires a number of contract calls. NOTE: You can view messages with address only but you will not be able to respond if you are using this method of message checking. You can also reply to a message if you want. However, it requires gas. NOTE: This is an emergency message system! Not an on-chain chatroom. Every symbol that you broadcast to the network will cost you gas. This is not an on-chain chat! This is only an emergency system that allows you to contact an owner of a certain address if there is no way to contact him off-chain. For example if you accidentally sent a number of funds into someone elses address or if you want to interview TheDAO hacker.